Tokyo is a great place to eat out, with a bewildering choice of exciting restaurants and new, surprising flavours. 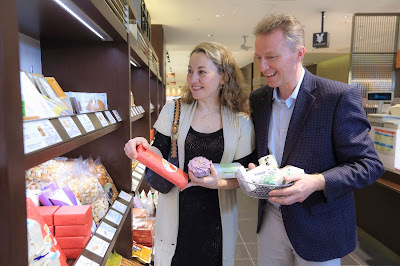 One great way to try out many new flavours without splashing too much money away is to visit places that generously give out small samples to customers. 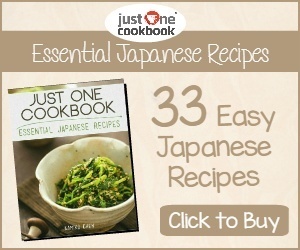 It means you can try many types of food, and take your time to find the right snack or meal for you. It’s also useful for picky eaters, as it means there is less chance of ordering food that won’t get eaten! With my new book, Super Cheap Japan: Budget Travel in Tokyo, Kyoto, Osaka, Nara, Hiroshima and Surrounding Areas, I have made a guide to show exactly how you can travel on a budget in Japan. I have been all across Tokyo and collected a list of free sample spots, which I included in the book. Here are some of my top spots for free food! Shinjuku is a good start to experience a bit of free food. 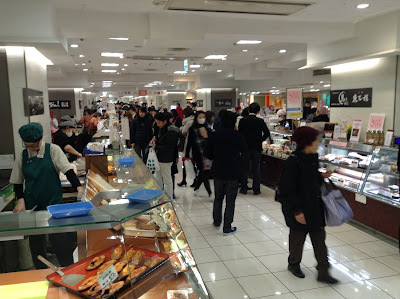 The two main department stores, Isetan and Takashimaya, both have huge food courts on their basement floors. Isetan is a little more upmarket and seems to have an ever changing selection of stalls and shops, so it’s worth visiting more than once. Takashimaya, next to the tax-free Tokyu Hands variety megastore, has a good range of bakery goods and snacks to take home as souvenirs. Head a few stops down on the Yamanote Line for more options in Shibuya. 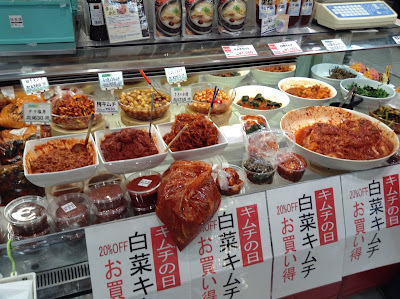 Tokyu Food Show has lower prices than the above department stores, and also has a few stalls offering free samples. There is also a good choice of western food, as well as Japanese twists on western favourites, such as cheese fondue and pasta dishes. Also located on the lower level, it can be accessed via Shibuya station. Another awesome spot for free samples in Shibuya is Hikarie, also connected to the station. Only a few years old, the higher levels are full of fancy items, with prices more reasonable than most department stores. Downstairs there are two fabulous floors, full of many original snack creations, such as a macaron inside a taiyaki! The shops here are still eager to establish themselves, and are very generous with their free samples. You might not even need a proper meal after visiting here…..
Outside of Tokyo, Chinatown in Yokohama has several stalls offering free samples to tourists on the main street, as well as to customers lining up. Favourites here are the Nikuman (meat bun) and Gyoza (Chinese dumplings). All the free samples are a great way to save money here, as the restaurants can be a little pricey. Finally, remember to ask for tax-free shopping if you buy lots of items, as all the shops in this post have tax-free for tourists! 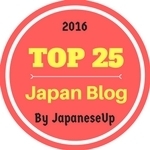 This post was written by Matthew Baxter, author of the new book Super Cheap Japan: Budget Travel in Tokyo, Kyoto, Osaka, Nara, Hiroshima and Surrounding Areas. It's the ultimate budget travel guide to Japan, full of the most useful, up-to-date information for a cheap holiday in Japan. With extensive tax-free shopping, crazily discounted train passes and an unbelievable exchange rate, there has never been a better time to visit. The book shows you exactly how, where and when you can save money. Go shopping for $4 clothes in Tokyo, enjoy inexpensive hikes in Nikko, or visit Kyoto’s beautiful shrines and gardens on the cheap; all with this super helpful guide. 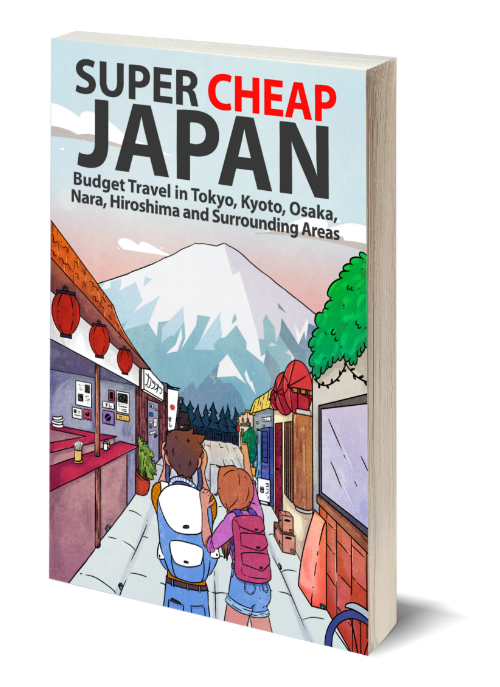 To celebrate the release of the new book Super Cheap Japan: Budget Travel in Tokyo, Kyoto, Osaka, Nara, Hiroshima and Surrounding Areas, we want to know what your best money saving tip is for traveling in Japan. The top idea will get a free copy of this awesome new book! Know a great place to eat on the cheap? A super way to save on accommodation? An unbelievable travel hack to get something for free? Just leave your tip in the comments and we will select the lucky winner from the responses. Good luck! If you are anticipating return trips, buy a Suica or Pasmo card. But be sure to keep it secure for your next trip ... it can be reused for each trip and makes the train tickets easier! Plus, you can use it to purchase items in stores near stations. Convenient and easy to use! Congratulations Julie! 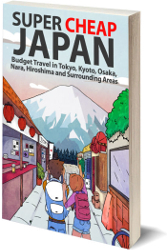 You are the winner of our competition and will receive a copy of the fantastic book Super Cheap Japan: Budget Travel in Tokyo, Kyoto, Osaka, Nara, Hiroshima and Surrounding Areas. 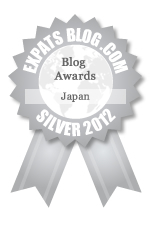 Please contact us at japanaustralia2011@hotmail.com to claim your prize. It's important for travellers to save their money when they travel abroad by finding information about available offers. It helps them to do more and more activities such as going on a long journey and having a picnic. Thank you for the comment. 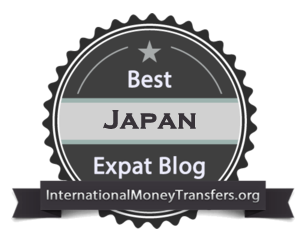 Yes, offers and deals definitely help you save money when travelling in Japan.